If you're looking for a great holiday cookie then look no further. 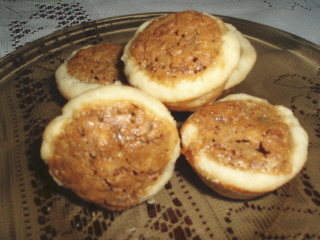 This pecan tassies recipe may take a little time but the end result is well worth the effort! The cream cheese crust is light and flaky and they are so good that you won't be able to eat just one. 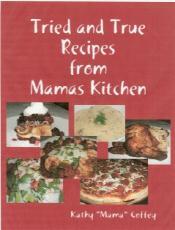 It may seem like you've made a lot but, trust me, they won't last long! 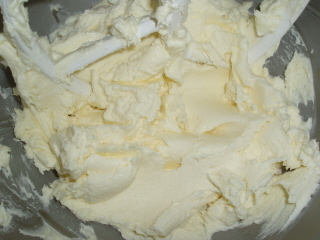 In a large bowl, combine the butter and cream cheese. Mix well. 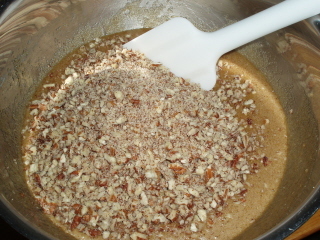 Add the flour, one cup at a time, mixing well between each addition. 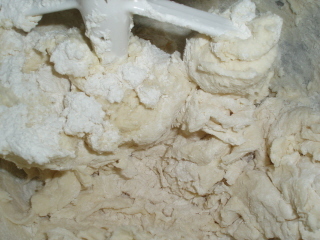 Mix well until it begins to form a dough. 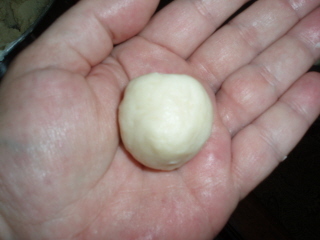 Wrap in plastic wrap and refrigerate at least an hour until dough is firm. 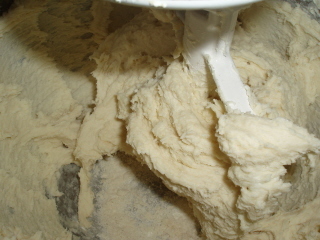 Remove dough from the refrigerator. 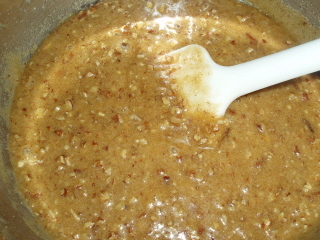 Preheat oven to 375° F. Roll into small balls about the size of a pecan. 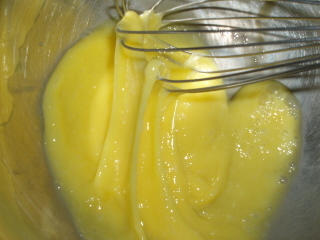 You may need to flour your hands from time to time if the dough gets sticky. 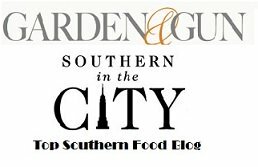 If it gets too sticky, put it back in the fridge for a little bit. 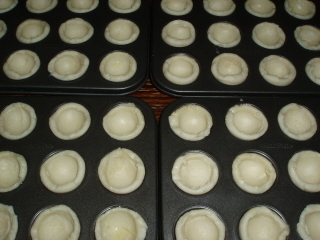 Place the balls into mini muffin tins. 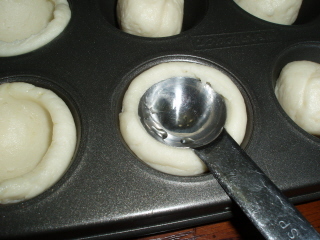 Press the dough into the pans as if it were a mini pie shell. 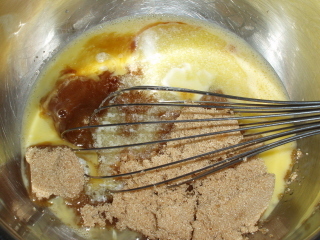 I found that using a rounded teaspoon that has been dipped in flour works pretty well (you will need to spray it after every couple of balls). This is what they will look like when you're done. Set aside so you can make the filling. In a medium bowl, slightly beat the eggs. 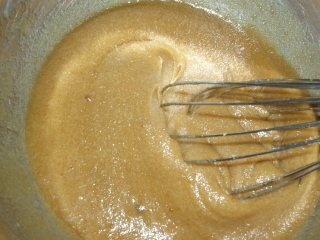 Add the brown sugar, melted butter, salt and vanilla. Pour into the prepared shells being careful not to overfill because they will get stuck in the pan. 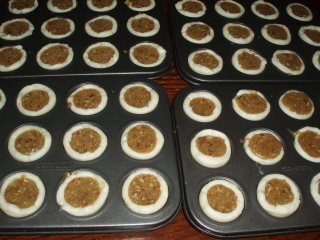 Bake in the preheated oven for about 20 minutes or until the filling is set and pastry begins to brown. Cool for at least 5 minutes before trying to remove them from the pans. 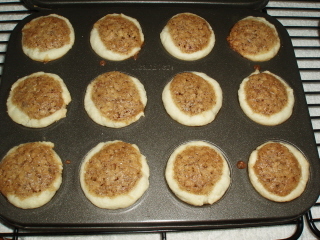 This pecan tassies recipe will make about 48 cookies. 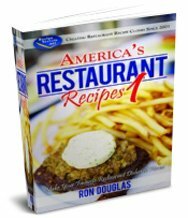 You may want to double the recipe because they'll be gone in no time!